Martin Truex. Credit: Christopher Hanewinkel, USA TODAY Sports. Good things have to wait. For all the NASCAR combatants Sunday for the Fox Woods 301, there was a lengthy, three-hour weather delay to wait through while it rained hard in Loudon, New Hampshire. Finally, after the delay, the race went on as scheduled, for 301 laps and Denver-based Martin Truex Jr. finished fourth after battling back at the end of the action. After leading for 83 laps, Truex fell off the pace due to handling issues with his car and fought hard to finish fourth. He still collected 51 points on the day, which was the same amount winner Kyle Busch collected. 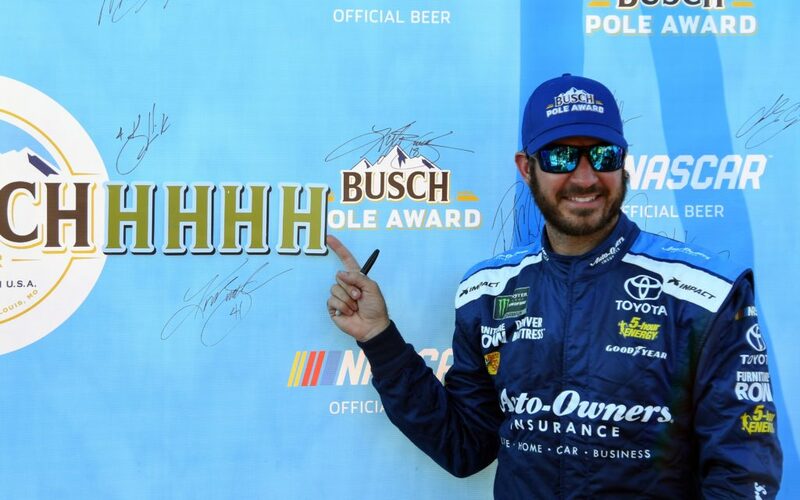 “We tried hard, but we just can’t quite figure out the second half of this thing (New Hampshire race), but when we do, we’re going to be in good shape,” Truex noted. “We were fast early. But the VHT (track compound to increase traction) wore off and I was no good anymore. Truex called New Hampshire his home track earlier this week and wanted to win it badly, but still has never been the victor there. Regardless, his finish and points were good enough to keep him in third place overall in the NASCAR Cup Series in overall and playoff points. No doubt about it, Truex is one of the elite racers in NASCAR this season and he’ll make noise in the playoffs as well.